No matter the naysayers and outliers, the legal profession is esteemed and noble. The good lawyer is an exemplar, able to show the face of justice pursued. This is an important moment for lawyers and law students. In the midst of rollbacks to civil liberties, lawyers are uniquely trained to safeguard and champion the promise of equal access to justice. We are equipped with a particular skill set that assures access to the legal system and all three branches of government. We are vested with the fiduciary duty to use that access to vindicate the rights of those who have been left out and left behind. Reinhold Niebuhr was correct when he observed, “Love is the motive, justice is the instrument.” Lawyers are justice’s emissaries. Our work can be the antidote to hopelessness and can restore agency to communities and constituencies that have been marginalized and worse. The pernicious effects of de jure and de facto discrimination continue to be felt. There is a growing chasm between what is and what ought to be in contexts that include safe and affordable housing, the environment, criminal justice, education, immigration, privacy rights, freedom of expression and more. Law school provides the training and professional and social capital to do the work to narrow that gap. 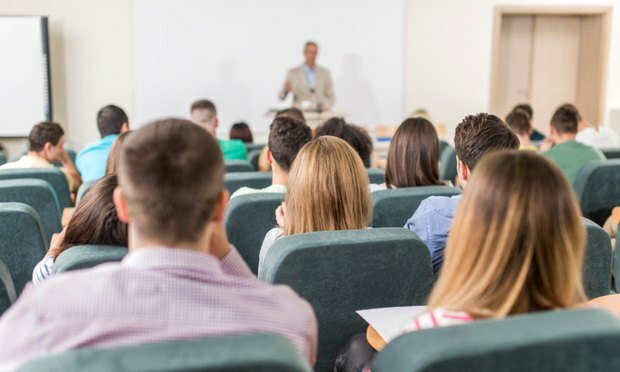 Because there is an art and science to “thinking like a lawyer.” Law school teaches the legal method — an approach to analyzing and solving problems that depends on accurate fact-finding, careful culling of relevant authority, precise application of law to facts, consideration of opposing arguments and trouble-shooting. I serve on boards, commissions and committees in the public and private sectors that are comprised of a range of members (some lawyers, some not), and most of the issue-framing, agenda-setting, drafting and problem-solving is accomplished by the lawyers. My law school classmates have gone on to serve in a host of diverse contexts, using the law degree as a springboard and the law’s tool chest as their enablers. Whether in the public or private sectors, as corporate leaders, policy-makers, jurists, legislators, journalists, social justice advocates, tech industry innovators, music company executives, public officials, teachers, agents, managers or authors, their legal training has served them well. I am thankful every day for the aptitudes that law school allowed me to develop to navigate an increasingly complex and interconnected world. You will learn to write and speak with precision, fluency and persuasiveness. There is an art to the written and spoken word that matters. In the blink of an eye judgments are made and doors opened or closed on the basis of how a given request, issue or question is communicated. In an age of tweets and twits, lawyers are equipped to reclaim the majesty of language and the power of words to add clarity rather than insult, and to heal rather than hurt. Law school teaches how to craft an argument to advance the aims of progress, facilitate understanding, and bring reason to confusion. You will learn to think on your feet, remain calm under pressure, and develop resilience. Resilience is an essential virtue. Law students develop grit — a courage and perseverance that comes from the rigors of the classroom dynamic where students are called on to participate and challenged to re-think the presumed rightness of their given position on a particular issue. Law school provides many opportunities to practice oral and written advocacy, experience the rigors of clinical in-the-field challenges, and develop fortitude in response to the daily give and take that rational and careful consideration of complex subject matter provides. You will teach what you have learned. Knowledge is power. As a law student and then as a practitioner, you can use what you learn to give back and empower others by teaching and showing that equal access to justice for all matters. Lawyers give voice to those otherwise left out and left behind. Sometimes the work that we do takes place on a big stage. But most often, our work is incremental and narrower in scope. Still, every opportunity to empower matters, whether by teaching a law-related elective in a local middle school, bringing the essentials of elder law to the residents of a senior facility, or the core tenets of immigration law to the members of a church, mosque or synagogue. You will achieve success and significance. Lawyers can and do achieve success according to traditional metrics. In a status-obsessed world, the law degree confers stature and access to power. What is more, by using the law to make people’s lives even a bit better, lawyers achieve significance. We can create legacies that transcend the furies and limitations of a given time and place. I know that this power can be wielded wisely, with both technique and compassion. Indeed, I have learned that the former cannot be effectively exercised and sustained without the latter.